Eradicator also assist its clients by replacing insulation that has been affected by mold spores. Insulation is an important building material. It is used to keep the interior of the home/business warm during winter months and cool during summer months. The uses it provides are essential to a property owner. Insulation plays a vital role in maintaining the desired temperature thus making its occupants comfortable. An establishment that is well insulated is also important in keeping the heating and cooling cost incurred to a minimum. Unfortunately, this building material is susceptible to the effects of mold. 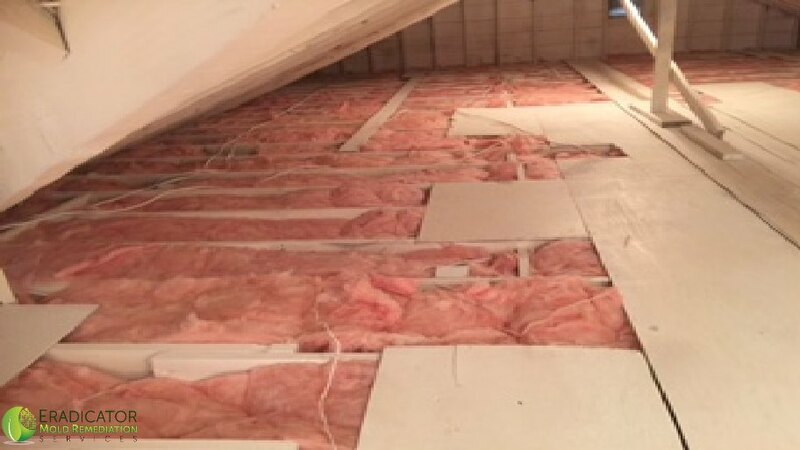 If an area where insulation used is compromised, such as the Attic or behind affected drywall, then the damaged items must be replaced. This is as this building material is a hotbed for mold spores. 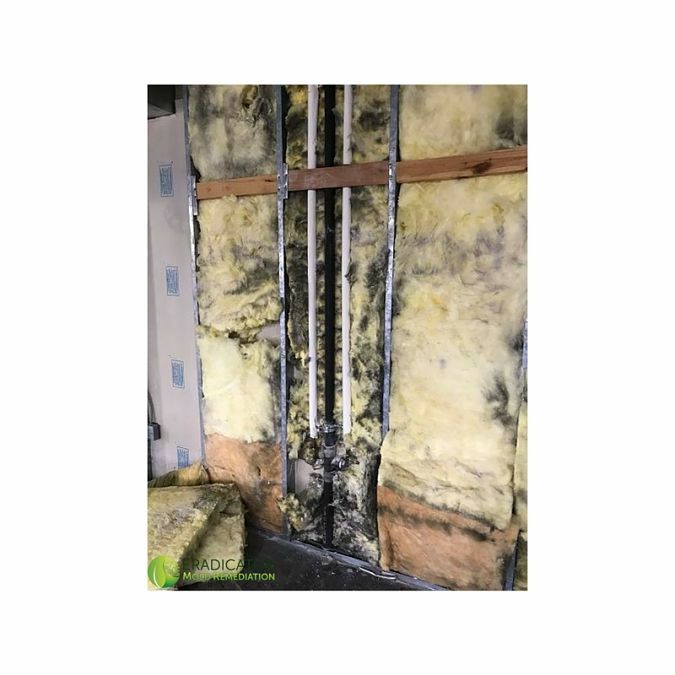 Mold spores will lay dormant within insulation until the right combination of humidity or water damage has been triggered and is now activated. Areas that are normally unused frequently and lack light, such as the basement and attic, tend to also speed up the abnormal growth of mold. These areas that normally lack light tend to be areas where insulation is heavily used especially the attic. Without replacing the affected material abnormal mold may develop and harm its inhabitants. This may be detrimental to one’s health as Mold spores are invisible to the naked eye as well as airborne. Individuals with respiratory issues are highly susceptible including pets, children, elderly, and pregnant women. What makes this scenario even more drastic is the fact that you are unable to see mold spores therefore you may not notice the effects until it’s too late. Eradicator is aware of the need to assist our clients return their property to a normal level of mold fungal activity. We are also aware of the need to assist clients replace essential building materials that have been removed. To ensure a smooth transition from areas damaged by the effects of mold we will assist in replacing what was removed. Feel free to reach out to our organization to determine if our services are right for you.